From Mediaite: Vice President hopeful Paul Ryan (recently announced running mate of GOP candidate Mitt Romney) took a jab at current Vice President Joe Biden in a recent speech. Reports Mediaite, “Mitt Romney‘s running mate Paul Ryan has been out on the campaign trail making the case against President Barack Obama — and in doing so, during a speech in Ohio, he also took a shot at one of Vice President Joe Biden‘s gaffes… ‘It’s great to be here in North Canton,’ Ryan said. 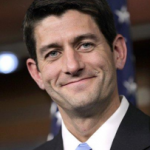 ‘Or, as Joe Biden might say, it’s great to be here in Nevada!’ Ryan was alluding to a slipup Biden had on Tuesday. During a speech at The Institute for Advanced Learning and Research in Danville, Virginia, it seemed that Biden momentarily forgot where he was speaking. ‘With your help, we can win North Carolina again!’ he told the crowd.” Read the story and watch Ryan’s zinger here. From Gossip Cop: On Monday, Gossip Cop reported that PETA was unhappy with pop star Lady Gaga for her hypocritical actions, both being anti-fur and wearing it. Today, Lady Gaga fires back. Writes the site, “In an open letter to Gaga, PETA suggested the pop star was a ‘turncoat’ for going back on her views, and compared her to ‘the mindless Kim Kardashian,’ who was infamously flour bombed by a animal rights activist. Now, Gaga is firing back at the organization — and defending Kardashian as well. In a post on her website LittleMonsters.com, Gaga writes to her fans, ‘I want you to know that I care deeply about your feelings and views, and I will always support your philosophies about life… I do not however support violent, abusive, and childish campaigns for ANY CAUSE. '” Read more of what she has to say here. From Geekosystem: The Megaupload legal saga continues, with a court ruling today that Kim Dotcom must be allowed to access evidence against him. 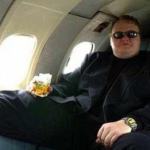 Reports Geekosystem, “In what is increasingly becoming a farce, a New Zealand judge has upheld a ruling that Kim Dotcom, Bram van der Kolk, Mathias Ortmann, and Finn Batato, must be allowed to see the evidence compiled against them in order to properly defend themselves. Essentially, the United States was arguing against letting Dotcom build a compelling defense. Without access to that information, it’s hard to say exactly how the extradition hearing would go down. Not well for Dotcom, most likely.” Read more about the ongoing case here. 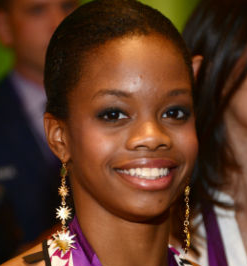 From Styleite: Though the Olympics ended, star gymnast Gabby Douglas’s hair continues to make headlines. Reports Styleite, “Gabby Douglas may have won two gold medals at the Olympics, but all everyone could talk about was her hair. She didn’t seem to mind it at the time, and even told haters that she was going to keep her hairstyle. But now that Douglas is a household name, media fixture, and Beyoncé’s BFF, she’s enlisted the help of celeb hair stylist Ted Gibson. Most of the criticism came from women of color, who usually have a love-hate relationship with their hair, says Gibson. Gibson didn’t spill any deets on Douglas’s future cuts or hairstyles, but did say that her team reached out to him in the wake of the controversy.” Read what Gibson had to say about his work here. 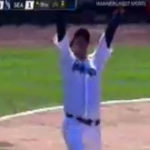 From SportsGrid: Yesterday, the third perfect game of this Major League Baseball season was thrown by Seattle Mariners’ pitcher Felix Hernandez at home against the Tampa Bay Rays. Reports Sportsgrid, he threw “the 23rd perfect game in baseball history, first in Mariners history, and third this season, blanking the Rays 1-0. Even by perfect game standards, this one was particularly impressive – Hernandez finished with 12 strikeouts, including striking out the side in the eighth and freezing the Rays’ Sean Rodriguez on the final pitch of the afternoon.” Meanwhile, Rays manager Joe Maddon got ejected from the game for arguing a ball/strike call. Read about Maddon’s ejection here and Felix’s game here. 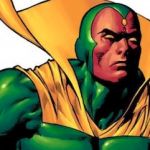 From The Mary Sue: This geek girl site has some Marvel news for you this morning, including some updates on the production of the highly anticipated Iron Man 3. Writes The Mary Sue, “Production on Iron Man 3 has been delayed due to injury… reports are that Robert Downey, Jr. “sustained an ankle injury on the set of Iron Man 3 in Wilmington, North Carolina while performing a stunt. There will be a short delay in the production schedule while he recuperates.” Downey told ScreenRant at Comic Con that he’d like there to be plenty of moments in the film that would cause people to wonder whether he was “stupid enough” to actually perform the stunt himself. I was under the impression that Robert Downey, Jr. simply was Iron Man. Doesn’t he have a suit for that? 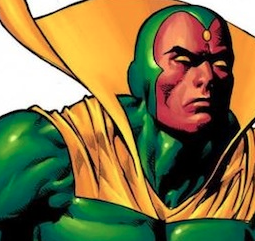 All kidding aside, we wish Mr. Downey a speedy recovering, and we can say that with sincere concern, since the delay is unlikely to affect the release date of Iron Man.” Read more Marvel news here. 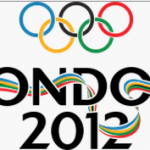 From The Jane Dough: The 2012 Olympic Games in London may have ended, but Olympic fever still burns on: today, The Jane Dough looks back on ten reasons women rocked the Summer Games. What are a few? 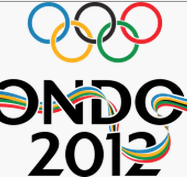 For one, “In 2012, for the first time ever, each country in the Olympics had a female athlete.” Another: “These Olympic games featured the first female competitors from Saudi Arabia, Brunei and Qatar.” And one that hits close to home? “The United States sent more women than men to compete, for the first time in history. The ratio is 269 to 261.” Find out more reasons here. From The Braiser: It’s always interesting to learn how celebrity chefs got their start. 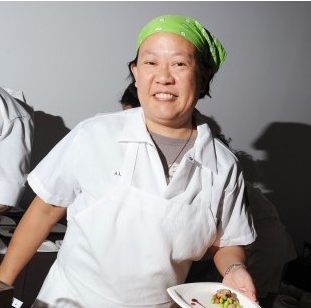 Today, The Braiser looks at Anita Lo’s beginnings. Writes the site, “Lo’s love of food stemmed largely from her mother’s passion for cooking, her upbringing, and her childhood travels around the globe. (‘For most people I grew up with,’ says Lo, ‘an exotic vacation was going to the Upper Peninsula of Michigan or maybe Florida. And here we were going to Tehran. We were freaks.’) But what tipped her over into actually cooking on her own was a discovery she made when she first moved to New York: Columbia [University] had horrible cafeteria food: ‘At the time, Columbia’s was known as one of the four worst university cafeterias in the country,’ says Lo… She moved off campus after her freshman year and learned to cook.” Read more about Anita here.